One of Osprey's most popular titles now available in a handsome paperback edition. 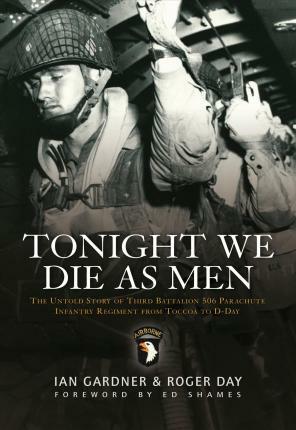 The exploits of the 3rd Battalion, 506th Parachute Infantry Regiment have long been overshadowed by those of Easy Company, 2nd Battalion. Yet the actions of the 3rd Battalion during the D-Day landings were every bit as incredible. This is the astounding story of how, after suffering many immediate casualties on landing, the surviving paratroopers fought on towards their objective against horrendous odds. Using fascinating first-hand accounts of the soldiers and the French civilians who witnessed the Normandy campaign, and illustrated with black and white photographs and maps throughout, the authors offer a unique and comprehensive account of the experiences of the 3rd Battalion from training through to D-Day and beyond.